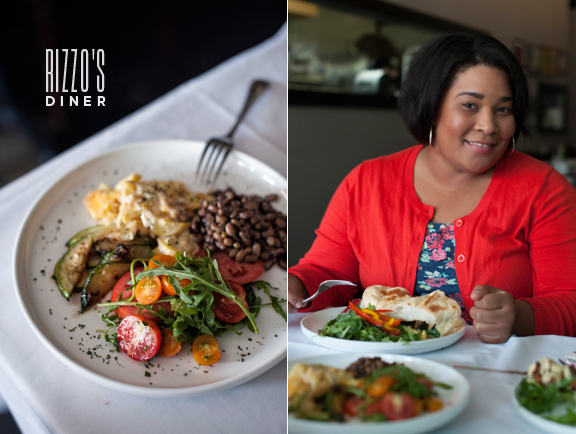 Memphis fashion blogger and stylist Kim Thomas eats, sleeps and breathes fashion. Not only blogging all the local trends, events, and loved brands, Kim has styled a number of fashion editorials and works in retail helping women make smart wardrobe purchases. It’s no wonder her blog KP Fusion was recently considered Memphis’ “Best Fashion Blog” by Examiner.com. It’s been my personal favorite since we connected a couple of years ago. Well before her overdue recognition, I sought her advice on future styling collaborations over a great meal at Rizzo’s Diner. Kim joined me as I tried the famous lobster pronto pups for the first time. 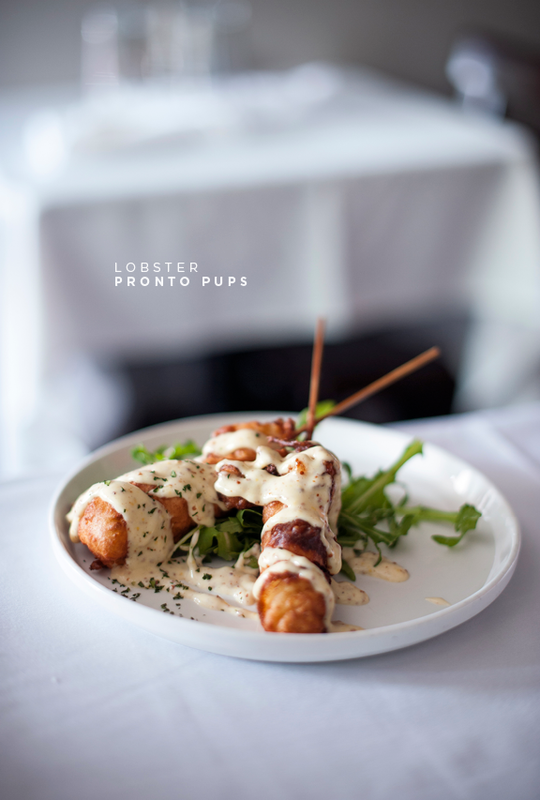 The sweet lobster swathed in a light batter, complemented with drizzles of Creole mustard aioli tasted as good as I had hoped, moving it straight off my bucket list onto my list of dishes to crave. The casually elegant dish isn’t found on the lunch menu, but if the ingredients are available, Chef Michael Patrick will whip up his Memphis-inspired creation at your request. The other highly recommended lunch dish is the fresh vegetable plate featuring their daily purchases from the Memphis Farmers Market, deliciously prepared as is everything on their menu. Though I have yet to pull in her styling talent for a style series, you have a special opportunity to do some holiday shopping at Langford Market with the lovely Kim on hand as your style expert on Thursday and Saturday. Thursday night will be a two hour event with drinks, treats, and an amazing giveaway that includes a private styling session with Kim and a $100 gift card to Langford Market. See more details on her blog. She also gave me a great plug on my event "Coffee & Cameras" happening this Sunday. We'll both be at each event and hope you will be there too. We'll love to meet you.